House and unit prices tell a story of decade-long stability. Stand by for the March quarter figures. 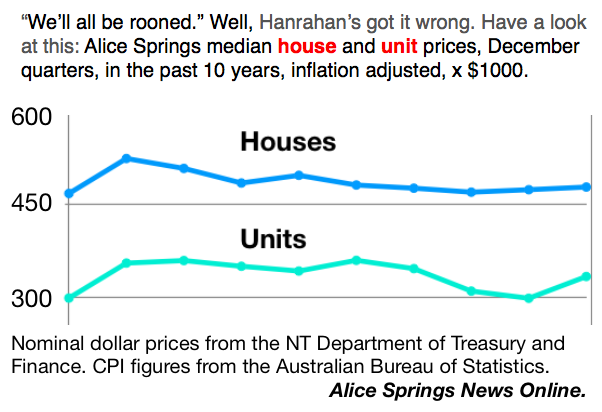 I get that P J Hartigan’s Hanrahan epitomises the eternal pessimist, but linking him to house prices and buyer confidence is a bit of a stretch given the poem is equally about a farmer’s eternal struggle farmers have with the elements in a harsh Australian climate, to make a productive living. The analogy doesn’t quite fit.